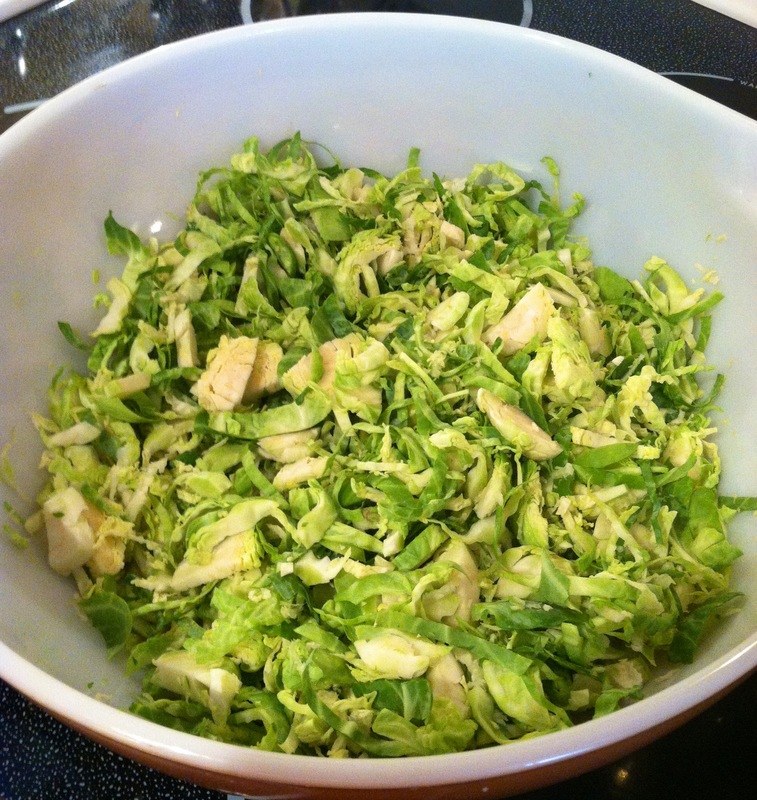 First you want to remove the tough outer leaves of the sprouts and slice them thinly into shreds. Think coleslaw size. Next, chop up the bacon and render it in a skillet. Stick your face over the pan and get a bacon facial. Don’t apologize later when your husband tells you that your face smells curiously like bacon. 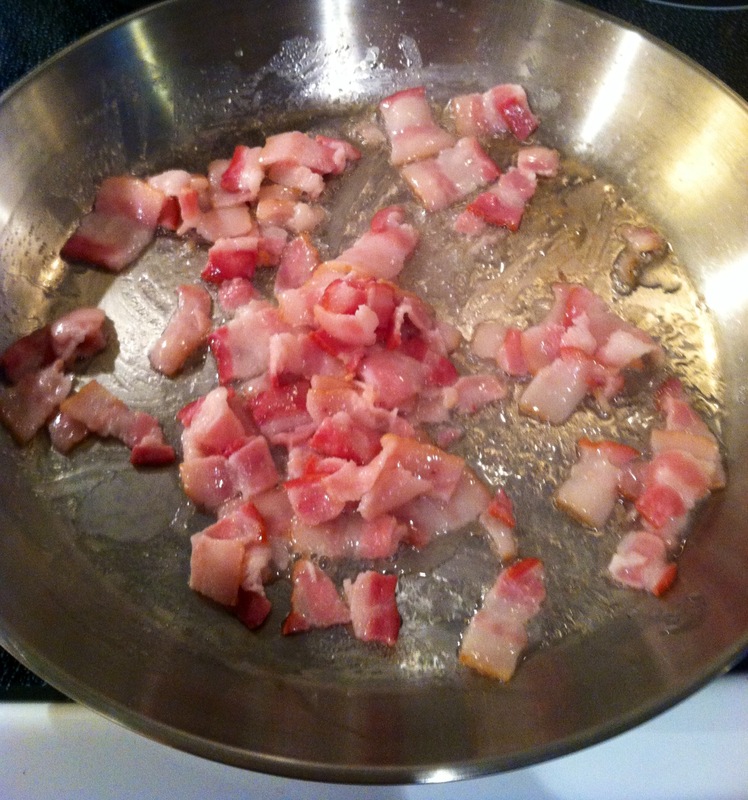 Remove the crisped bacon from the pan with a slotted spoon and set it aside on paper towels to drain. Pour off all but about a tablespoon of bacon drippings and add the brussel sprouts. While they saute, add salt, pepper, and the grated clove of garlic. Cook until tender. 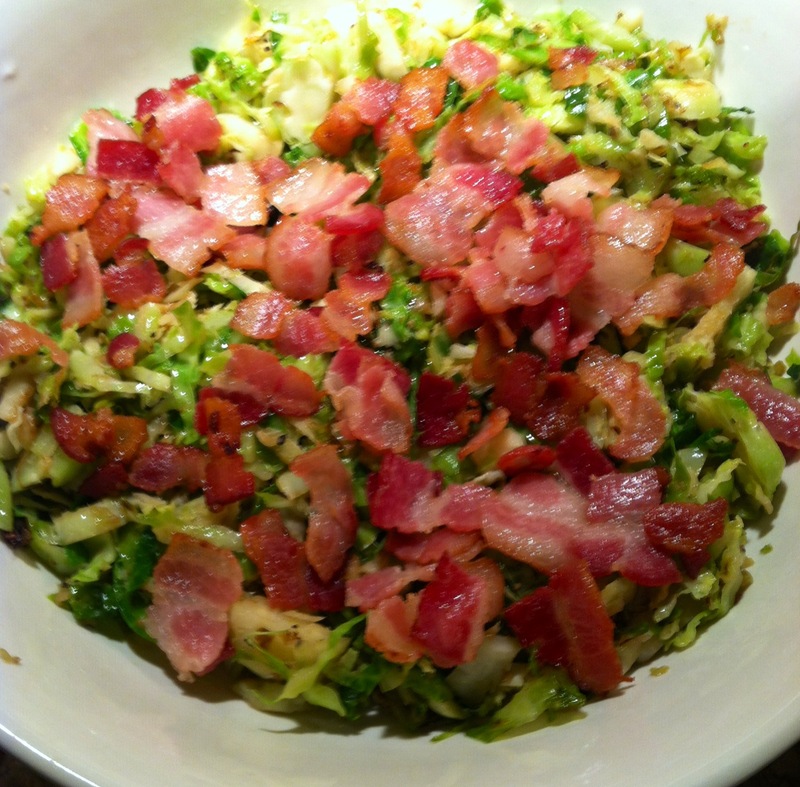 Serve the sprouts with the fairy dust bacon sprinkled magically on top. Call someone who has wronged you and tell them you forgive them. Trust me… it’s that good. I love you. So much man… Seriously. if you leave your brussel sprouts on the plant until after the first cold snap of the fall they will be less bitter. 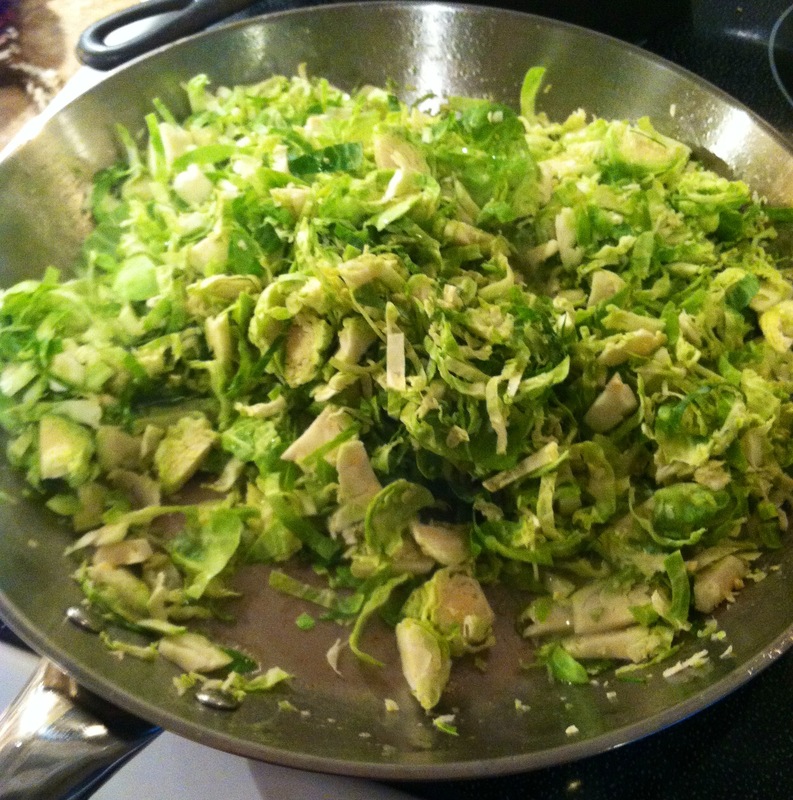 With the easy winter here last year I was picking sprouts in mid-December to roast in sea salt and olive oil….yum!